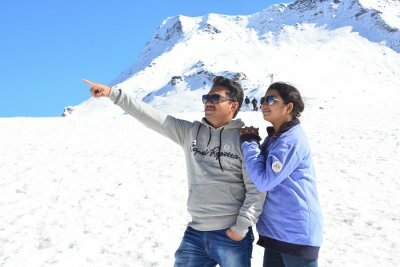 Tired of honeymoon destinations set amidst mountains and beaches? What about the backwaters of Alleppey this time! 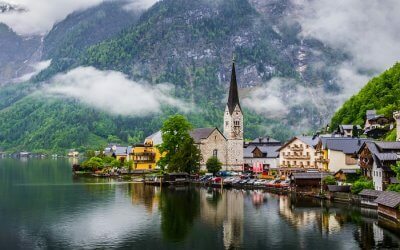 It’s a place where silence flows in the wind and the water to create an eternal love story for young hearts. Frequently referred to as ‘The Venice of the East‘, Alleppey tops the list of South India’s most celebrated tourist spots. Let the heart-stirring beauty of Alappuzha backwaters heighten your romance while your houseboat sails through scenic waterways. 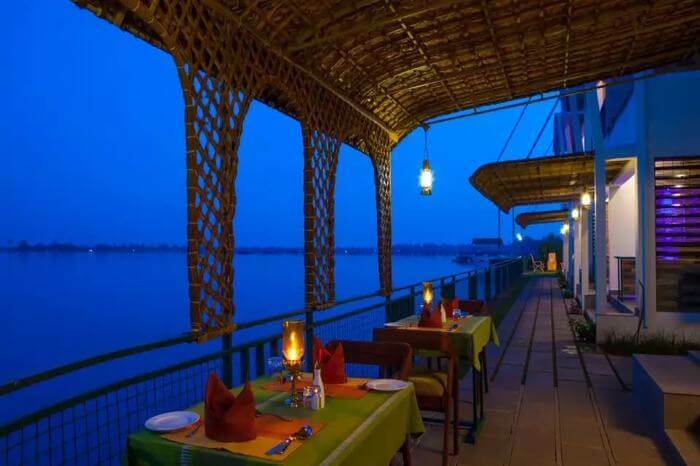 From candlelit dinner and moving vistas to romantic houseboats in Alleppey, the destination offers more beauty than you can imagine. 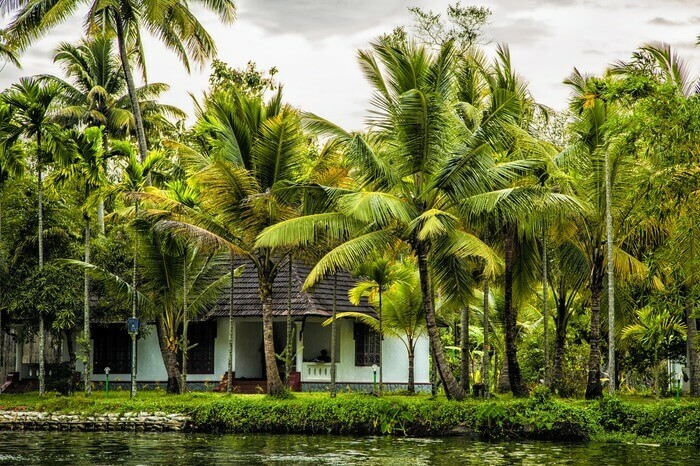 Lose yourself in the divine nature of Kerala and let the stress fly away. 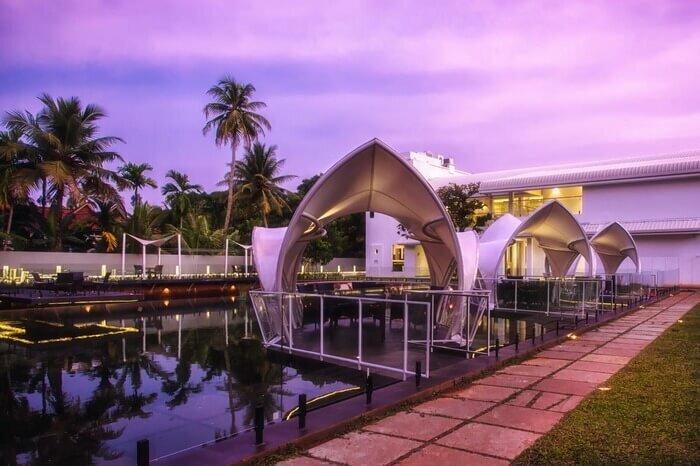 Be ready to be bowled over by the endless stretch of inland waterways surrounded by swaying coconut trees, the wide blue sky, singing birds, and breeze that’ll soothe your tired mind. The only way you can ever explore the beauty of the waters is through means of Alleppey backwater boat ride. 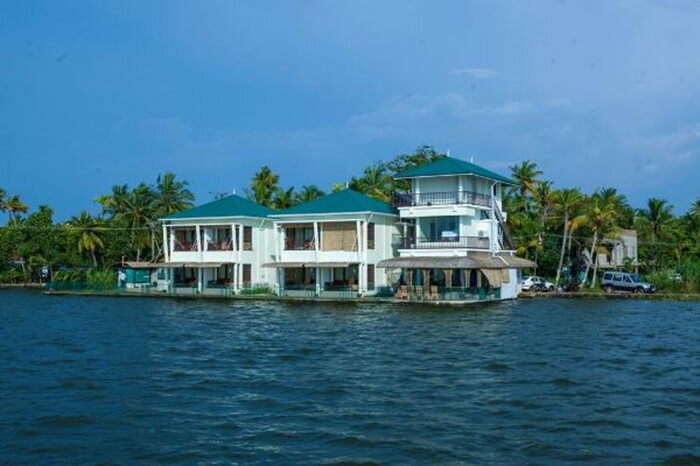 The backwaters is one of the best places to visit in Alleppey not only for couples, but everybody who wants to enjoy nature’s beauty. 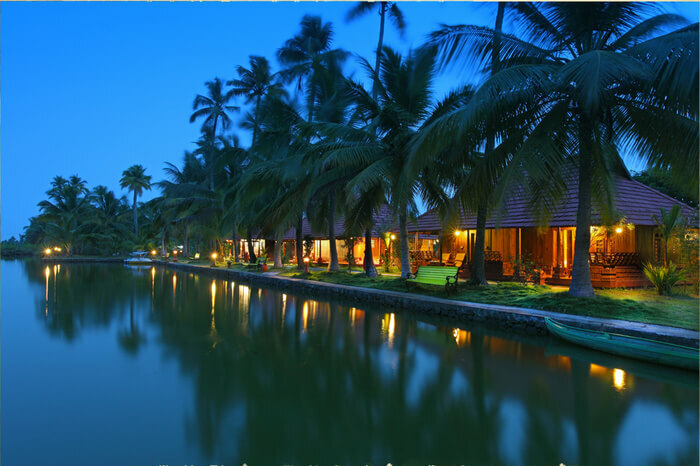 So light-up the romance with short strolls through the local villages and take back sweetest memories of Alleppey. Doesn’t it sound exciting to spend some time with your loved one on an island? Well, you can spend a memorable day on a small island called Pathiramanal on the Alappuzha backwaters. Hundreds of rare birds migrate to Pathiramanal every year from different parts of the world. How to reach Pathiramanal: The island is only accessible by boat. It’s 1 hour 30 minutes by motor boat and just 30 minutes by speed boat. 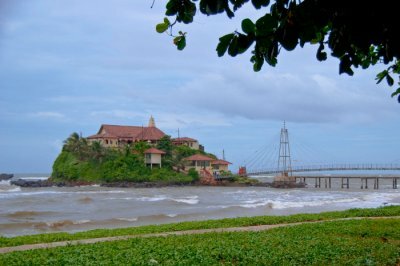 Mararikulam is a relatively unexplored shore between of the backwaters of Alleppey and Cochin. Now your dream to relax by the azure waters, on clean white beaches is not a pie in the sky any longer. Marari beach is one of the cleanest beaches in India where you can spend an evening with your love one. 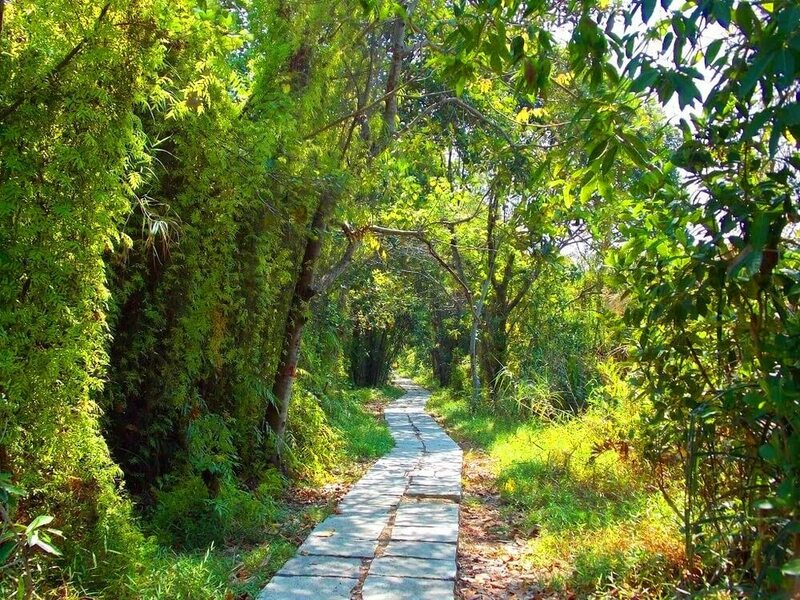 The place will help you discover the essence of relaxation that’ll revive your soul. The place where the waves kiss the shore every now and then while the soft sand hugs your feet. This is the place for those in love. 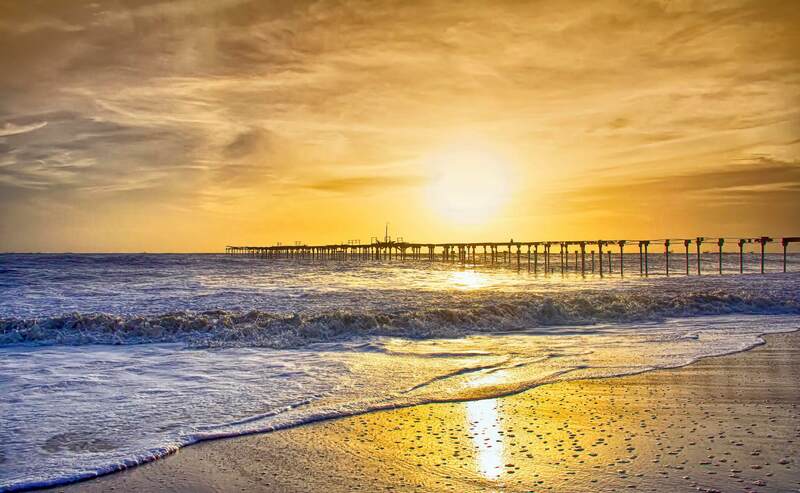 Alleppey beach has a 137 years old pier extending into the sea, which is also one of the most popular tourist spots in the entire Kerala. The lighthouse at the beach is also a popular place where you can click some beautiful pictures. 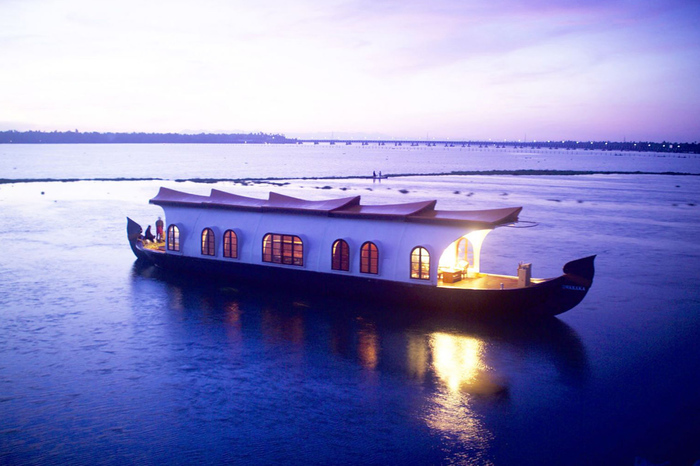 Alleppey backwater tour can be experienced in the most comfortable way on a luxurious cruise with the love of your life. 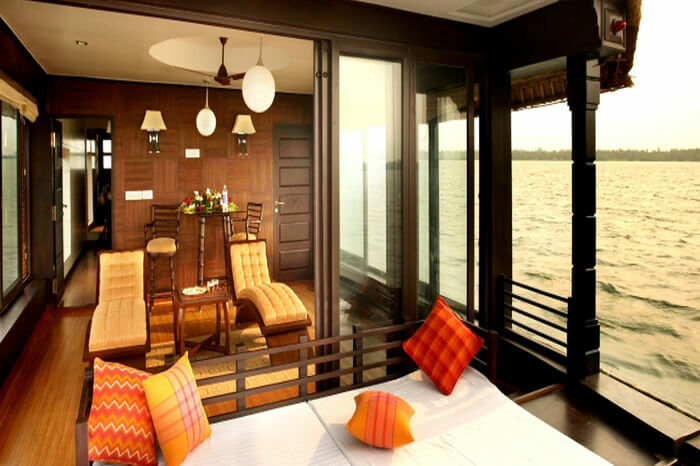 You can spend your honeymoon floating on the backwaters with one of the finest cruises in Alleppey. Dining & menu: The Sumptuous Sadya (A feast served on a banana leaf with a variety of vegetarian dishes); Karimeen Pollichathu (Pearl spot fish baked with a paste of chillies, spices and curry leaves); Fish Molee (Sear fish cooked in coconut milk and seasoned with spices), Puttu & Kadala Curry, Appam & Mutton Stew, Sweet tender coconut water. On-demand entertainment on the cruise: Night fishing and dance performances showcasing folk and classical forms like Theyyam, Chakyarkoothu, Bharatanatyam dance, and Mohiniyattam. 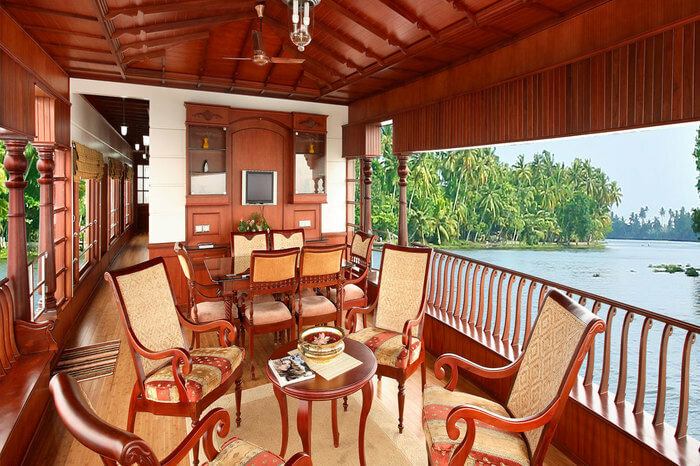 Wonderfully decorated and designed Alleppey backwater boat ride takes you back in times and lets you experience the old-world charm of Kerala. Sailing on the scenic Alappuzha backwaters is an authentic experience you’ll not get anywhere in the world. 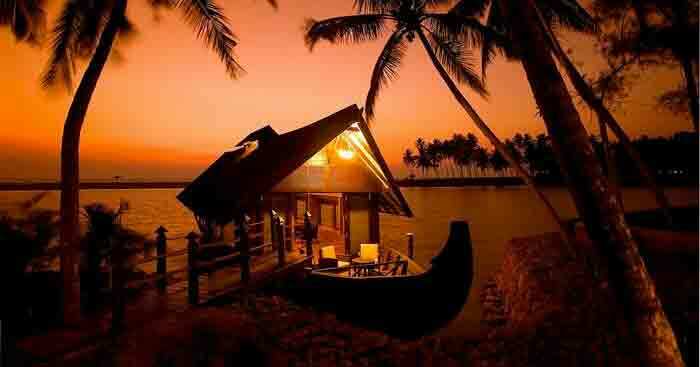 The backwaters in Alleppey never fail to amaze honeymooners. 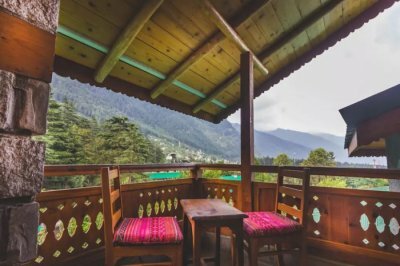 Witness a hundred shades of green and the wonderful emerald canals from your room window. 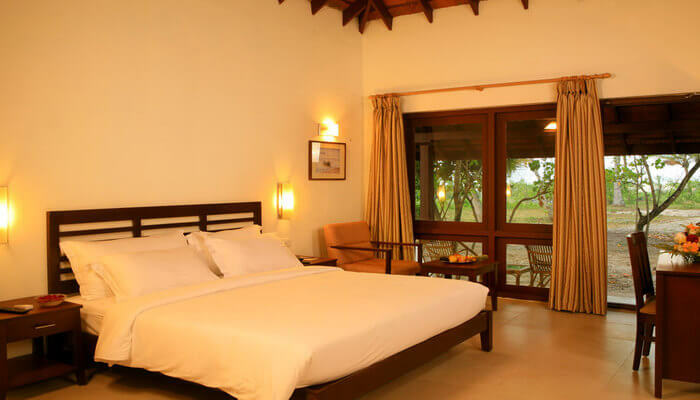 The resort is set amidst tropical plants and palms which gives you a laid-back feel. Soak in the silence and feel the cool breeze on your face sitting on the porch of one of the best resorts near the backwaters in Alleppey. 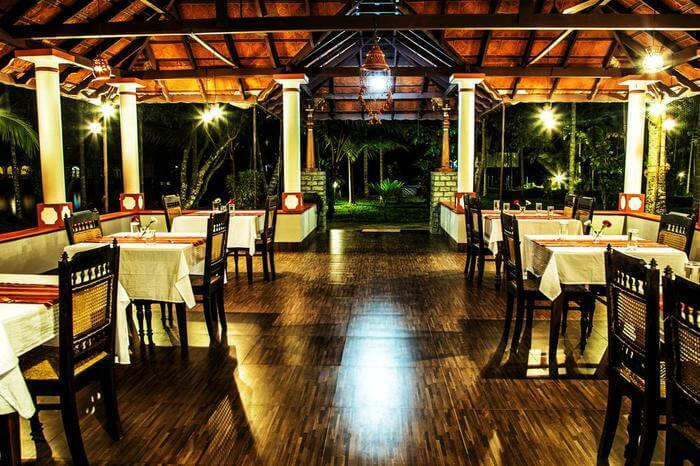 Dining: Oottusala is their multi cuisine restaurant serving Kerala cuisine with seafood being the chef’s speciality. 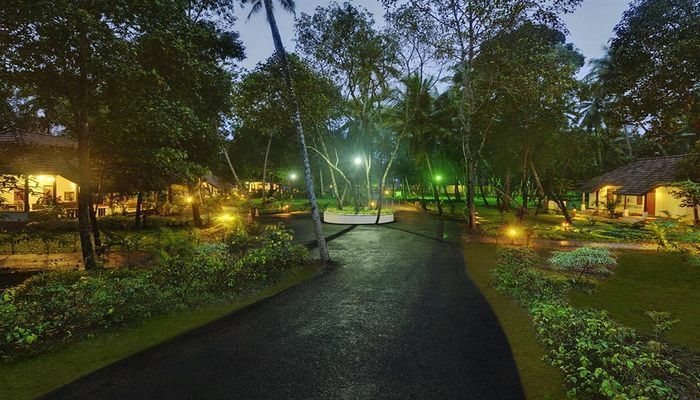 Situated in Mararikulam, this resort is spread across an area of 13 acres. 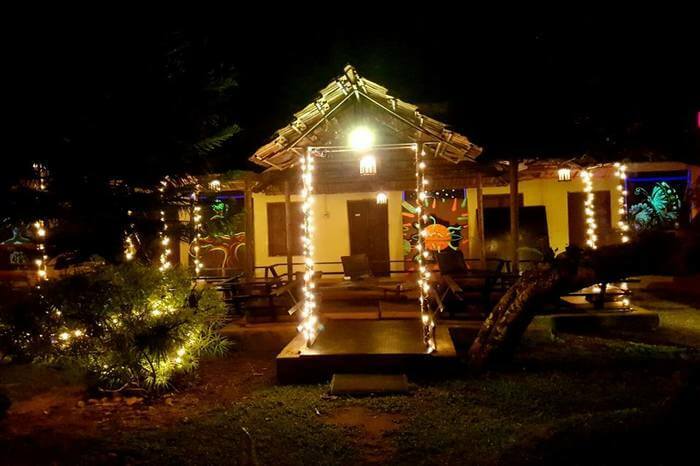 It overlooks the white sandy Marari beach with a small stream flowing on one side. Live in a resort surrounded by palm trees and waterways. 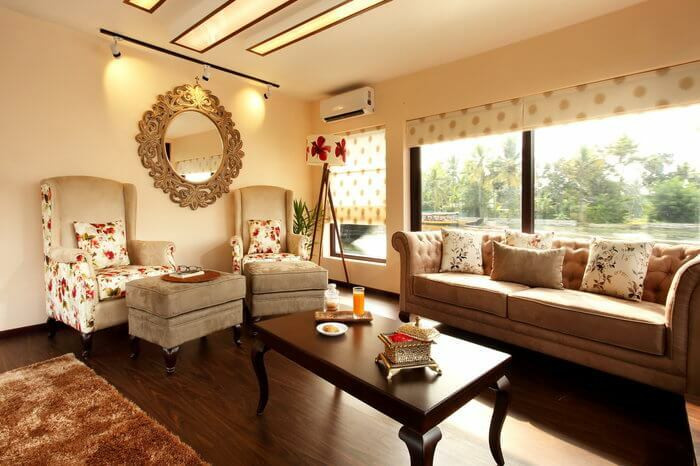 The soothing ambiance is a perfect place to spend quality time with your spouse. 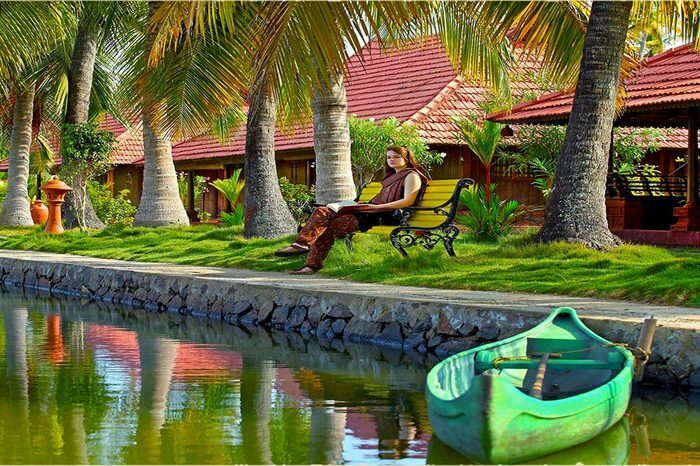 Palmgrove Lake Resort is often included in Kerala honeymoon packages. Explore the backwaters of Alleppey, the scenic surroundings, and their tranquility with your partner. Wake up to the greetings of the sun and let the cool light of moon put you to sleep. 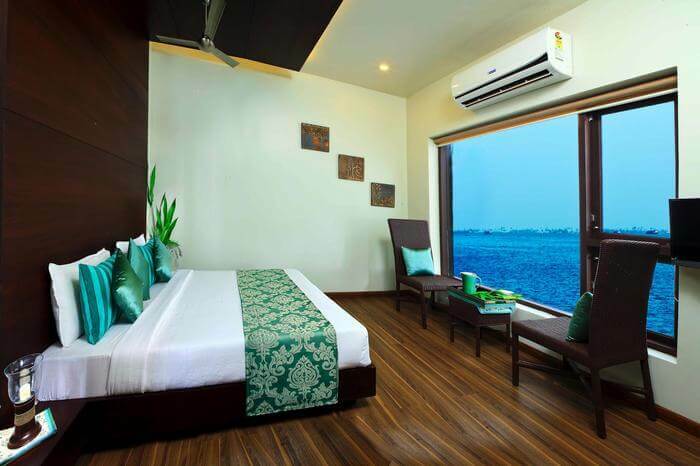 The rooms overlook the azure water and have world-class amenities to make your stay memorable. Memories is a place both of your will fall in love with. 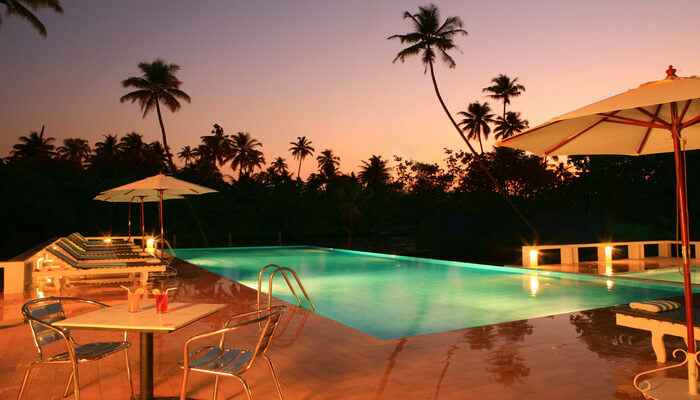 The restaurant is situated beside a pool with a peaceful atmosphere. 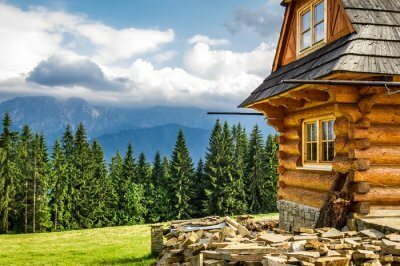 It’s famous for its beautiful ambiance and delicious food. You can enjoy your meal in absolute privacy. The menu of Avocado includes spicy South Indian, Chinese, and Asian dishes. You can choose from an array of dishes and special beverages in the restaurant. It’s a good place to visit for couples. 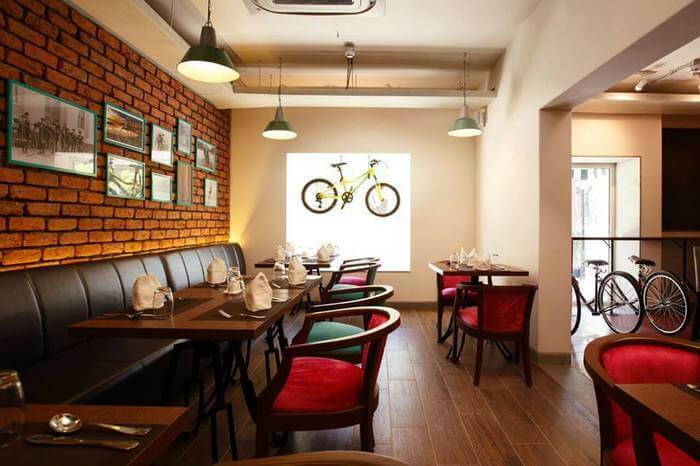 Mushroom is a breezy open-air restaurant with bicycles hung on their windows. 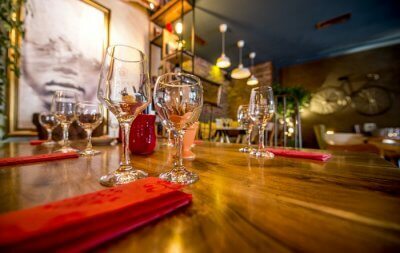 The restaurants specializes in Indian and Asian cuisines. 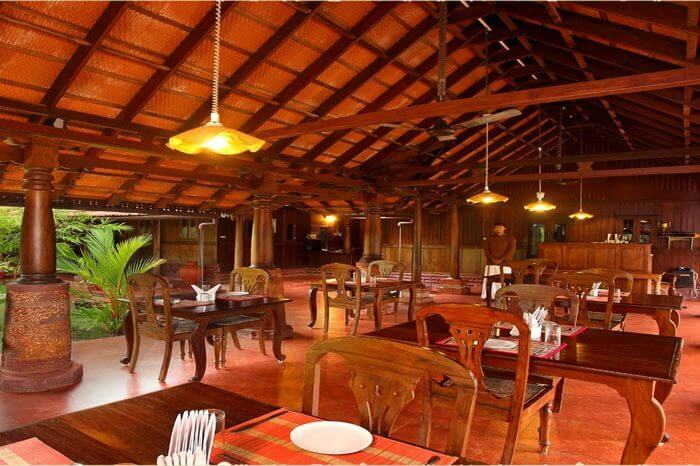 It’s a cozy restaurant you shouldn’t miss when you’re in Alleppey. Must try: Chicken kali mirch, grilled fish, fish tandoori and chilli mushrooms. 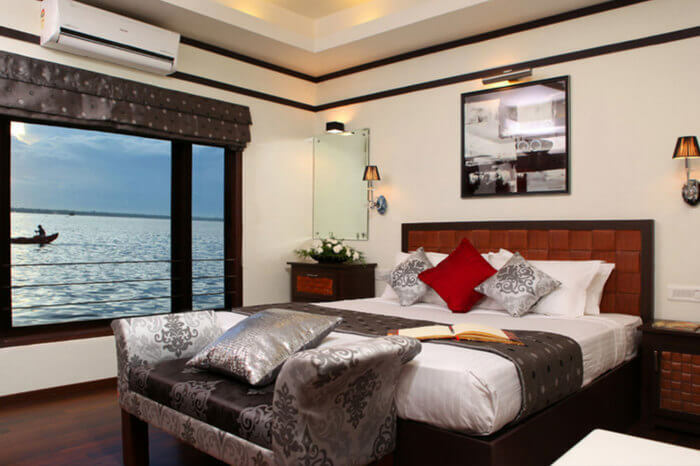 This information is put together for you to plan a hassle-free honeymoon to Alleppey. 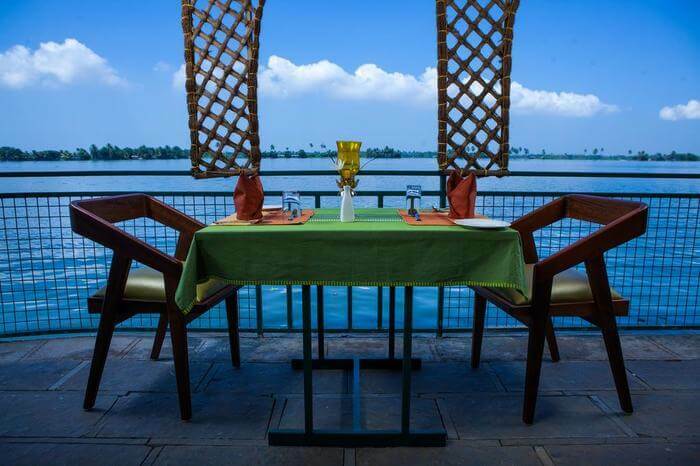 Alleppey is all ready to welcome you two and give memories for a lifetime.